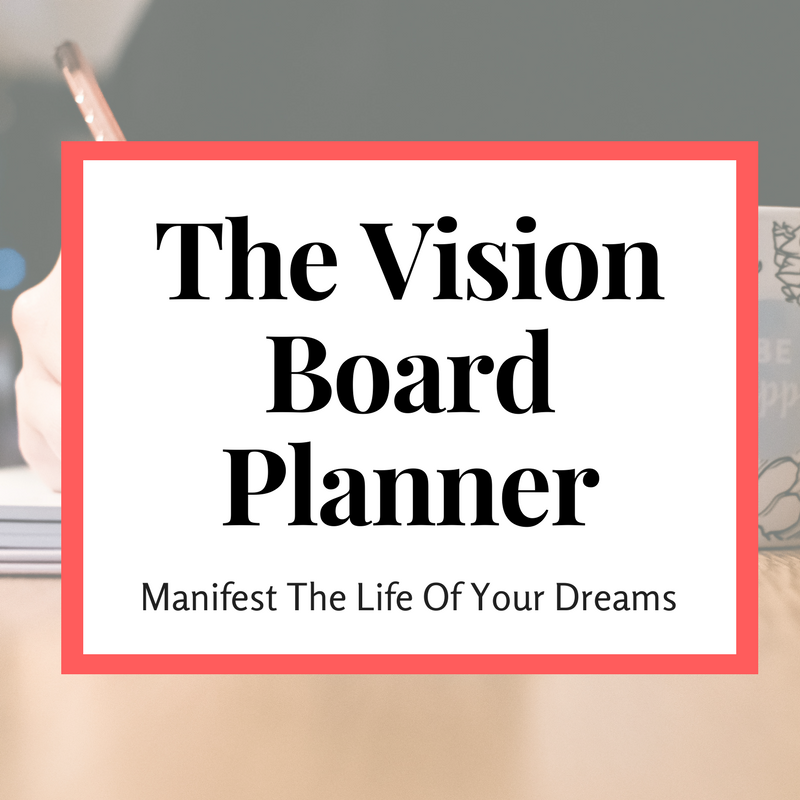 So, You've Created a Vision Board... Now What? Join the free 5-day challenge that walks you through exactly how I've created an effective & transformative vision that attracts good energy, great people and unlimited success. Subscribe to the newsletter to grab the freebie! I LOVE vision boards. No seriously, I really love vision boards. I created my first vision board 3 years ago, when I was heartbroken, broke, and unemployed (Yes, I said broke + unemployed. NOT living paycheck to paycheck. NOT barely scraping by. Broke + Unemployed). Hopefully, you can only imagine what that felt like (and if you've ever experienced it first hand and lived to tell the story, let's grab a drink mmm-kay?). That vision board took me down a path of rebuilding myself from rock bottom, starting a successful freelancing business, going back to school to get a master's and ultimately starting Thrive Lounge. 1. Find THE BEST place for your board. All locations are not equal. Your impeccably designed, totally IG-able reading nook might look like the perfect place for your vision board... But if you only go in there once a month, think twice before you start carving out a space for your big vision. The reality is, your big goals are accomplished by the tiny things you do daily. So, the best place for your board is a high traffic area where you will see it every day to remind you to take those tiny steps towards your goals. This year, I placed my vision board above my bed so I can see it every morning when I wake up and every night before I go to sleep. Last year, when I was in grad school and working freelance online, I pretty much lived on my computer. I put my vision board right above my computer desk so through all of my late nights, I could always look up and remind myself of my big goals. 2. Reflect... with your board. Find a time that works for you every day to sit with your board and think about what action item you can do to push that goal forward. Pro tip: If you do it at the same time every day, over time you will form a habit! Every morning, I sit and look at my vision board. From far away, it looks like I'm doing yoga, but in reality I'm attempting to meditate but I don't know how to sit still. In the middle of every child's pose, I look at each of my goals and ask myself "Am I living the life I want to live?" This year, I am laser focused on budgeting and paying down my student loans. During these moments of reflection, I think of additional ways to increase my income or decrease my spending. I love using my mornings to reflect on what I want out of my life and decide what I want to do for the day that will help me get closer to achieving my goals. In addition to meditation and reflection, the book The Miracle Morning outlines a life-changing morning routine. 3. Share your board with your family and friends.... and associates... and anyone who will listen. The more you talk about something, the more you internalize it. Speak it into existence. On top of that, when you tell your family and friends about it, they will start to ask you about it when they see you. Creating your vision board is only the first stepping stone is accomplishing your goals. It's up to you to make those dreams come true. Happy Goal Crushing!